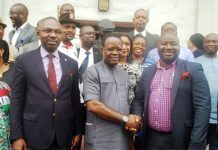 The three major labour unions in the Rivers State College of Health have called for the quick passage of Rivers State College of Health and Management Technology (RSCHMT) Bill 2017. In a joint press statement last week, Chairman of the Academic Staff Union of Polytechnics in the institution, Comrade Promise Igoma said delay in the passage of the bill may hamper the upgrading and accreditation of courses in the school. He recalled that since November 2017 when the executive bill got to second reading, nothing has been heard again, since a public hearing would have been conducted and concluded. “The last time the bill was mentioned in the House, Igoma observed was in November 23rd, and since then we had expected that a public hearing would have been concluded by now”. The ASUP chairman argued that the bill is key to the upgrading of the institution, which until the administration of Chief Nyesom Wike, had suffered neglect, after it was revamped in 2001 by Dr Peter Odili. Comrade Igoma, while commenting on the statement by Chairman of the House Committee on Education, Doctor Farah Dagogo last week that the bill is still under consideration said”. “We are not indicting Hon, Farah, so far he has helped us in making sure something is done our fear is that similar bills had gotten accelerated hearing but ours is not”. 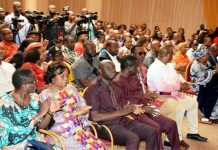 Commending Governor Wike for approving the adjustment of retirement age and salary for staffers of the college, Igoma explained that since last year, the approval has not been implemented. The ASUP chairman believed that if the bill is passed into law, the institution will complete favourably with others across the country. Currently, he lamented that the college is being bedraggled by poor facilities, accommodation and staffing even though it’s still one of the best in the country.